The Harvest House Bakery would like to thank the Freedman’s Family to allow us to continue their tradition of great baked products. That’s right, the harvest House will have over 200 items on display for you to view. We will also be cooking up our stuffed breads, Hamburgers and hot dogs, Sandwiches, and sweet goods so you don’t go hungry. Don’t forget in addition to our products there will be several vendors on site to let you sample their products. (see earlier posts for detailed list). Thank you all for a great response and we look forward to seeing you all there. OK, its all set. Here are the vendors that will be participating at our open house Monday November 2 2009, to show you what they have to offer. We have already received a great response from a lot of our customers that are going to attend our OPEN HOUSE NOVEMBER 2 2009. I am excited by the response already. If you have not yet called or e-mailed or faxed that you are coming please do so as soon as you can. This way we will have a good idea on how much food and chairs to have available. Remember children are welcome. I look forward to seeing you all there. So far we have added Penn Jersey Paper, Johnson Restaurant Supply, and York Jersey Insurance Brokers to the list of Vendors that will have tables at the open house. We are working on Boars Head, a local vineyard, Dawn Foods and more to make your night as productive as possible. Bored with your bread basket? 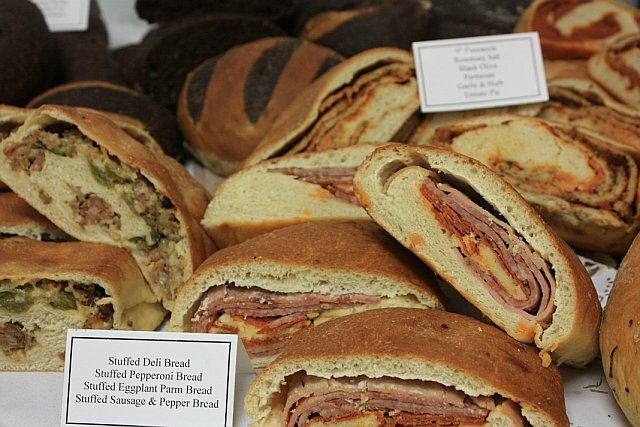 Come visit us on November 2 2009 between 5-9 pm to see new idea’s to add to your menu’s and bread selections. 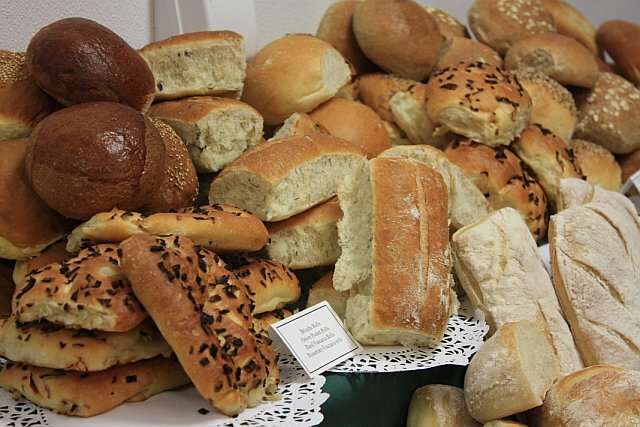 We will be displaying and tasting every item that we make from Pies to bread sticks from Dinner rolls to Bastone. OK, so all the construction is finished and we finally know kind of what we are doing in the new bakery. So I would love it if all of you would come down and check it out on Monday November 2nd. The Time and details will follow soon because I am trying to make it a special event for every one to enjoy. I am planning on having food and drinks along with other industry vendors that will show you their wares and how they can help all of us save money in these lean times. So stay tuned to the blog for up and coming information and I hope to see you all there.